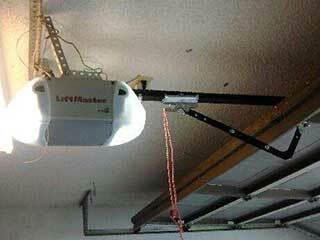 A malfunctioning garage door can make your day incredibly inconvenient. More than that, actually. It can pose a serious risk to your safety, and may even damage your car if you're not careful. Our professional technicians can help you during such scenarios. We specialize in dealing with anything from a broken cable to warped tracks. Our technicians won’t simply address the symptoms; they’ll thoroughly check over your entire system to identify what’s caused the problem in the first place. This means that the repairs work we'll perform will keep your door working for a long time, and won’t leave potential problems to develop as soon as we leave. Each part of your garage door is linked to the whole system. For example, if a spring breaks, any other spring, as well as the lift cables, will most likely take on an additional load, and therefore could also become damaged in the process. Another example is misaligned or bent tracks, which can cause the rollers to get stuck, and consequently wear out or even break. Once we’ve fix your problem, our team will carry out a thorough test to ensure that the system is working properly once again. This is essential to highlight any possible additional issues that have been missed, and to guarantee long-term serviceability. Whether you need spring replacement or opener repair, we'll make sure that the rest of the system is able to keep functioning optimally once we've solved the problem at hand. Our experts at Garage Door Repair Pasadena can tackle any problem of any size, and can restore your system to its proper working condition without compromising anyone's safety in the process. Contact us today if you're having issues with your rollers, hinges, panels or any other part of your overhead door.